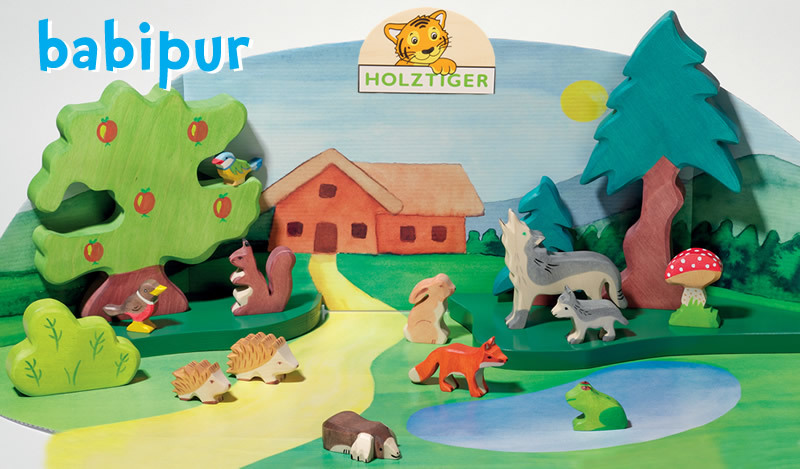 This hungry hippo is chomping away on something tasty down by the watering hole. 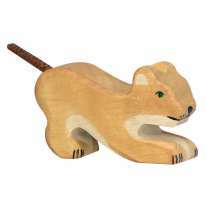 This fab wooden figure is an essential in a collection of zoo or safari animals and has been hand-crafted from sustainable solid wood. The rich grain of the wood is used to colour his belly and shines through the grey water-based eco paint used to colour the rest of his body. 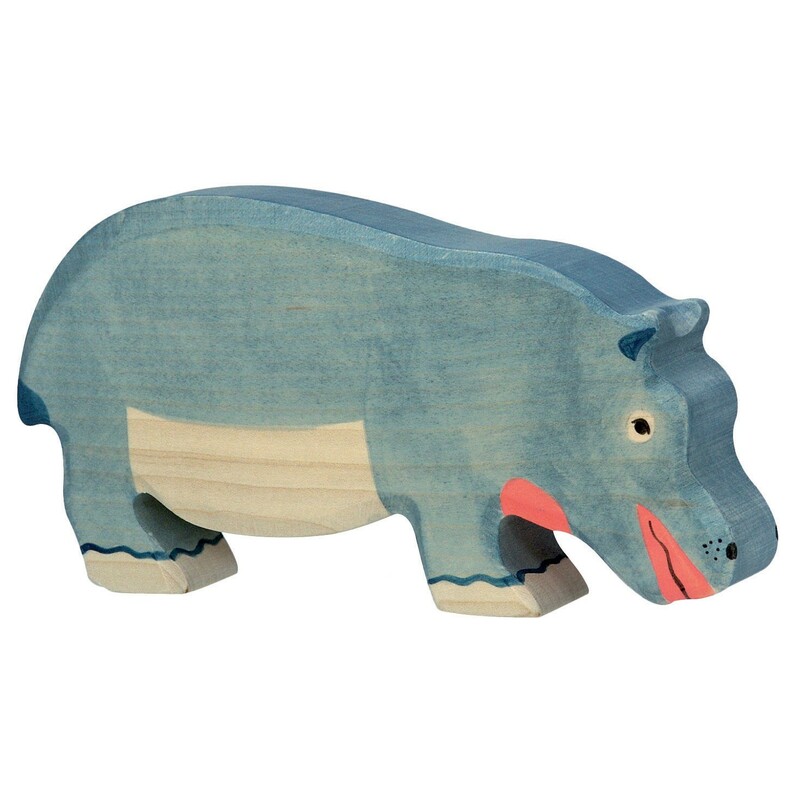 This large hippo will make a great addition to a set of wooden animal figures. 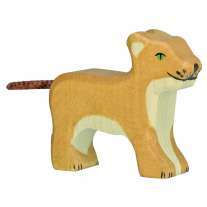 Team up with some other exotic creatures to keep him company. This figure measures 18 x 9 x 2.8cm.